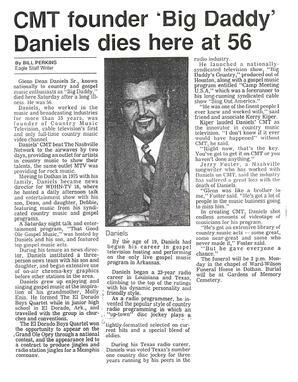 March 5, 1983 was the day the country music industry was changed forever when the Daniels Family boldly launched CMT, (originally called "CMTV") from their video production studios in Hendersonville, TN. Creator, Founder and first network President Glenn D. Daniels, Sr. was one of country music's top DJ's and Program Directors in the State of Texas during the late ‘60’s and early 70’s. Daniels originated the "hot clock" top 40 style format for country music radio and brought this concept to cable television with his creation and founding of CMT. At a time when the creation of a music video Country Music performers was prohibited by lack of budgets and an appropriate television outlet, Glenn D. Daniels bucked the odds and with his son G. Dean Daniels, CMT's Co-founder and first Production Director, provided that outlet and funded most of the network's programming for the crucial first year on the air out of their own resources. Almost everyone familiar with country music knows what happened next, as a whole new genre of video production emerged, changing the face of country music forever and opening the doors for the music video success of today’s superstars. Created and founded by Glenn D. Daniels, Sr. and co-founder G. Dean Daniels, Jr., CMT, now owned by Viacom under the MTV Networks division has become an international success seen in over 80 million households in the USA. 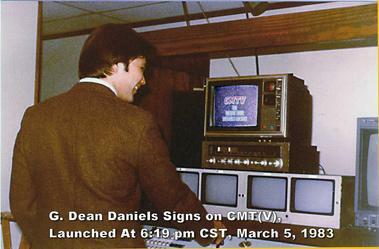 "The Daniels Video Library," taped and filmed at studios in Hendersonville, TN and on locations around Nashville, TN, Dallas and San Antonio, TX formed the basis for CMT’s early programming success. 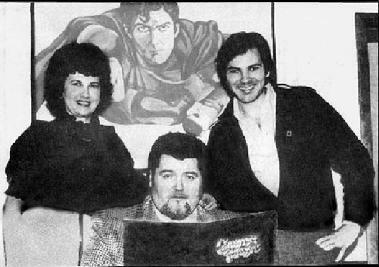 G. Dean Daniels personally produced, directed and edited hundreds of in-concert and conceptual music videos during the inaugural 1983-84 year, including Warner Brothers Records "1984 Country Music Song of the Year," "The Yellow Rose" starring Johnny Lee and Lane Brody. George Strait, Lee Greenwood, Mickey Gilley, Brenda Lee, Mel Tillis and many more top performers produced their first music videos with the Daniels Family at their Video World Productions studios in Hendersonville, TN, the original home of CMT. Without the vision, dedication, sacrifice and just plain guts and hard-headedness of network Creator/Founder/President Glenn D. Daniels and his willingness to gamble on the success of the Daniels Family programming, (a gamble that paid off in resounding accolades from cable television operators and country music fans across America), CMT might have never launched against the stiff competition of "The Nashville Network" and may never have existed at all. 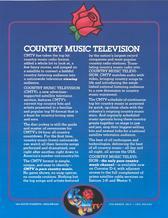 CMT was originally called "CMTV" but was always "Country Music Television." The "V" was dropped from the name of the network in the summer of 1983, when at the National Cable Television Show in Houston, TX, Warner Amex, then owners of "MTV" sued CMTV for trademark infringement, despite there being no similarity in the logo style and no possible way of confusing the two networks. The suit was dropped in 1984 following a mutually beneficial agreement between the parties. 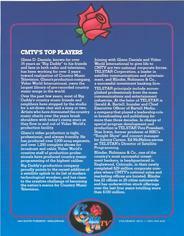 The corporation name, "CMTV, Inc." was changed by corporate vote to "Country Music Television, Inc." in 1985. 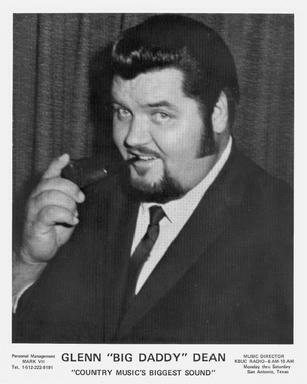 Glenn "Big Daddy" D. Daniels passed away on May 16, 1992 from complications of diabetes at Southeast Regional Medical Center in Dothan, Alabama. His obituary was published in The Nashville Tennessean, The Nashville Banner, The Dothan Eagle, The Associated Press (and picked up by newspapers nationwide) and announced on country music radio stations and CMT. Click on the thumbnail to the left to read the obituary and short bio. 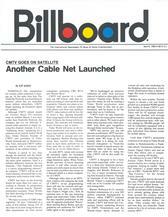 Of primary note in the original papers of the "MTV VS CMTV" suit was Warner Amex's assertion that only "they" had the right to program music on cable television. Country Music Television, Inc. voluntarily dropped the "V" immediately, in an effort to win the support of Warner Amex and hopefully be considered for placement on their various cable television outlets. CMT continued to fight the lawsuit's assertion that only Warner Amex had the "right" to air music programming on cable and the entire matter was settled out of court in 1984. Ironically today, both MTV and CMT are owned by Viacom, Inc., with CMT eventually coming under the banner of Viacom's MTV Networks division and becoming a true "county cousin" of the original rock music video network. The concept of a country music cable network had been brewing in founder Glenn D. Daniels' mind for several years as he saw the rise of cable television and the potential to program "radio for video." When MTV began airing on Hendersonville, TN's Parcable cable television service, Daniels felt the time was right for a country music video television network, offering an alternative to the 24 hour rock music format with around the clock country music performances. So he went to work, developing business plans, networking his concept, producing potential programming and looking for investors. Variety CMTV launch story, April 28,1983 "Around tTe Clock MTV Vid Network Has New Country Cousin In CMTV Service"
Hendersonville Free Press & Nashville Banner CMTV launch story "America's Best Kept Secret"
The Daniels Family provided uplinking and production services during the crucial first year of broadcast for CMT and continued to own stock in the network until 1989. Glenn D. Daniels passed away at the age of 56 on May 16, 1992 from complications of diabetes. 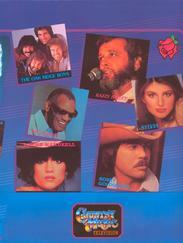 In the following years, certain entities have wrongfully claimed credit for the accomplishments of the Daniels Family and Glenn D. Daniels, accomplishments fully documented by contracts with the founding parties, record company agreements, major press coverage and the actual original physical program tapes, still in existence in the vaults of the "Daniels Video Library." Apparently to some, history is something that can be retroactively "created" and spun to benefit those who came after, as long as the original documentation remains undiscovered. There are a wealth of documents including corporate papers and contracts, media releases, record company agreements and much more that firmly establishes the true origins of CMT: Country Music Television. Periodically, cmtcountry.com will make available online many of these documents that clarify and set straight the founding and creation of the network for the true historical record. More than 30 years after the launch of CMT, the details and full story of the founding of the CMT cable network will be told both on this website and in a planned book by G. Dean Daniels. Watch cmtcountry.com for periodic updates of original documents, corporate papers, newspaper and trade magazine stories, photos, videos and a wealth of other documents held for decades by the Daniels Family which will set straight the full and true story once and for all as to the origins of America's #1 country music network and the man who was the true creator and founder, Glenn D. Daniels. Trivia: The First Song on CMT? "It's Four In The Morning," performed by country music legend Faron Young. This first in-concert video was introduced on the air by Hall of Fame Songwriter, talk show host and actor Jerry Foster (the first person ever seen on CMT). All productions were created and uplinked by Glenn D. Daniels' production company, Video World Productions, located in downtown Hendersonville, TN. "It's Four In The Morning" was chosen for two reasons: One, Glenn D. Daniels was a big fan and friend of Faron Young; and two, G. Dean Daniels, Jr. spent weeks putting together the initial programming tapes, often working until "four in the morning" on the project! CMTCountry hopes everyone interested in the history of CMT was able to catch the short video presentation on the history of country music produced by Greystone Communications for the Country Music Hall of Fame in Nashville, TN. 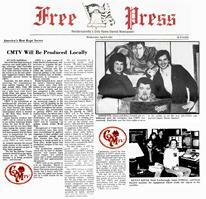 Of historical note concerning the early days of CMT is the promo by Kris Kristofferson, where Kris, sitting in front of the original "CMTV" logo says, "You're watching CMTV...and so am I!" For an insight into the day that changed the course of country music history, click on the PDF file to the left for a short first-person narrative on "The Launch of CMT." Glenn & Dean Daniels were featured on CMT's "40 Days That Shaped Country Music" which\ premiered Saturday, November 4, 2006 and repeats periodically (Check local listings or www.cmt.com for a schedule of repeat airings.) Certainly one of the days that forever shaped country music was the day that CMT was launched. "40 Days That Shaped Country Music," produced by Ritch Sublett for CMT explores 40 such fateful days including that historic day of March 5, 1983 when Country Music Television premiered. Featured on the program are behind the scenes studio clips, an interview with G. Dean Daniels, the original CMT(V) logo and classic performance and interview footage including rare clips from the "Daniels Video Library" featuring Mickey Gilley, Carl Perkins and George Strait. In 2005, Ritch Sublett produced "40 Greatest Firsts," followed in 2006 by "40 Days That Shaped Country Music" for CMT. 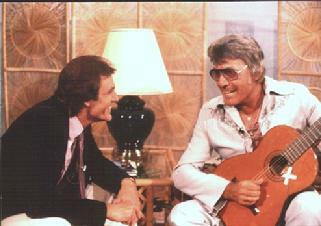 Both historical specials featured interviews with CMT Co-founder G. Dean Daniels, the first song aired on CMT and the first conceptual video aired with RCA recording artist Sylvia and her video "Matador." A wonderful tribute to the people who were "firsts" in country music, these network special presentations honor those who helped make country music history and the sons and daughters who followed in their footsteps. A special thank you from the Daniels Family goes out to Ritch and CMT Productions for helping to set the record straight on the founding of the network with these two great "Must See TV" music specials. 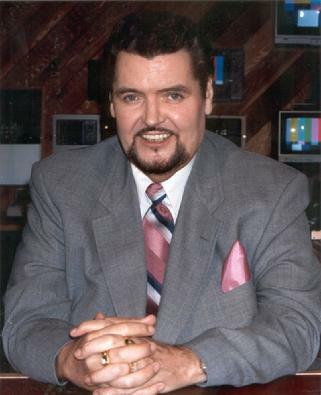 Glenn Daniels Creator/Executive Producer, "Sing Out America"
In addition to creating and founding CMT, Glenn "Big Daddy" D. Daniels also created and Executive Produced one of the most popular Southern Gospel Music programs in cable television history. That program was "Sing Out America," an entertainment music showcase featuring the very top performers in Southern Gosepl Music. SOA premiered on the CBN cable television network in 1981 and aired for two years in a daily half-hour format before moving to the ACTS and FamilyNet networks and syndicated to television stations across America. The series' original host, Bill Traylor got his start on SOA and would continue hosting the series until 1991. Bill went on to host numerous other programs featuring gospel music, including the early "Homecoming" series with Bill Gaither and his own "Homeland Harmony" show. Today, Bill Traylor hosts "Gospel Music Southern Style" on the Inspiration Cable Network. 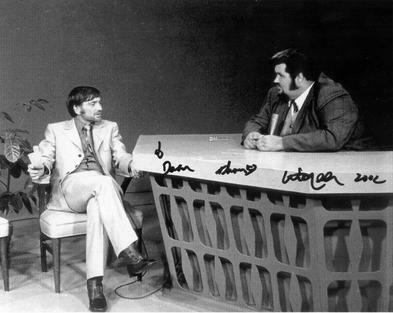 In 1991, Glenn D. Daniels went back to his own television program hosting roots, taking over the show hosting reins from Bill Traylor for the final two seasons of "Sing Out America's" 13-year run (recording fresh programs that aired after his death until 1994). 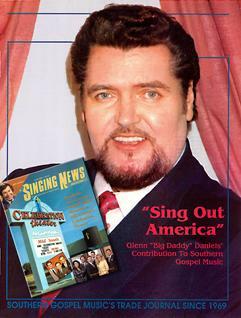 His tremendous and lifelong contribution to Southern Gospel Music was featured in an article in the "Singing News" magazine in 1992, published a month after Glenn Daniels passed away. "Sing Out America" enjoyed a year-long revival of original programs in 2003-2004, airing on RFD-TV on Dish Network and DirectTV. Look for the revival of "Sing Out America" with new programs and classic performances from the Daniels Video Library on the Inspiration Network in the fall of 2010 with original show host Bill Traylor. Read the full article on Glenn Daniels' contribution to Southern Gospel Music by clicking on the Adobe PDF link above.
" Throughout our 100 years of history, Western Kentucky University faculty, staff, students and alumni of this great institution have been engaged in work that has shaped the world around us. Their life's work has impacted nearly every facet of society, and as fellow Hilltoppers, we take great pride in the multitude of gifts WKU has given the world. "It's a formidable task to select the most significant contributions WKU has made to the world. These gifts may amaze you, and you may have many suggestions of your own...We hope you enjoy reading about fellow members of your WKU family as we sample the third segment of 100 GIFTS WKU GAVE THE WORLD!" "CMT Country Music Television: G. Dean Daniels (80') was the co-founder and co-creator with his father, Glenn D. Daniels, Sr. of CMT Country Music Television, launched March 5, 1983. 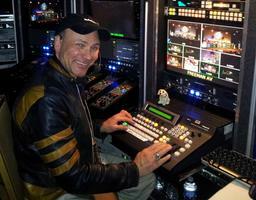 Dean personally signed on the network and was CMT's first production director." Glenn Daniels' studio in Hendersonville, TN formerly at 600 West Main St. was the site for the first year's productions, editing and uplinking for CMT, Country Music Television. 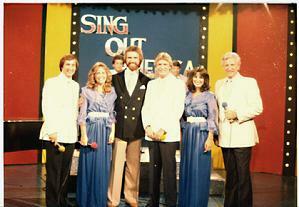 The first seasons of the highly successful program "Sing Out America" also were produced at this studio, airing originally on the CBN cable network and later on the ACTS and FamilyNet networks and syndicated on television stations nationwide. Cmtcountry.com is not affiliated with CMT or "Country Music Television," cmt.com or country.com and is not responsible for any content on their websites. This website is non-profit and autobiographical in nature with a goal of finally setting the oft-erroneously told story of the founding of the CMT Network with truth and documented facts. This website name was obtained in 1997, prior to CMT's own domain name and is legally owned by the Daniels Family. Contents Copyright 1983, 2014, Glenn Dean Daniels, Jr. & Alpha Dog Productions, Inc.